I'm thrilled to announce my Architectural Digest Magazine interview, discussing my "California Cool" exhibit at La Fiambrera Gallery Madrid! As a fan of AD for years, I'm so honored to be included in this periodical I hold in such high regards. It was an absolute pleasure talking architecture, design, and California culture, and getting to show them around my exhibit. Pinch me, I'm dreaming! 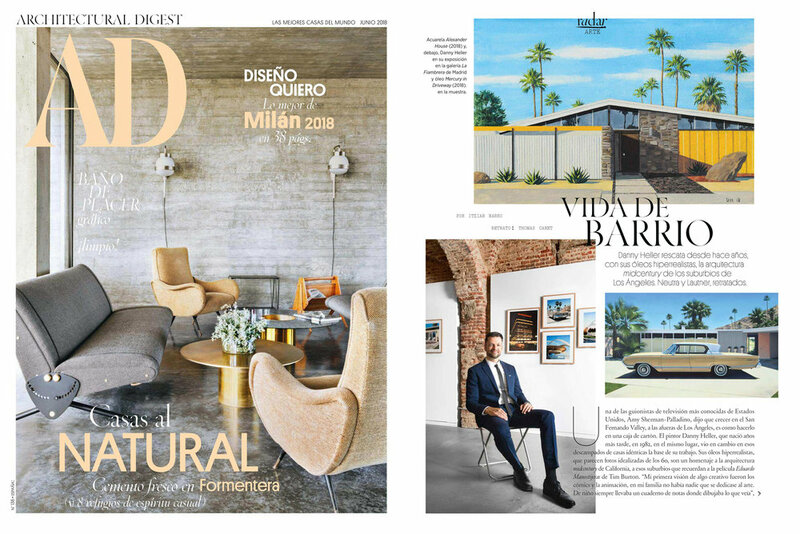 A big thank you to Francisco Santelices at La Fiambrera Gallery for making this happen and of course to AD España for the wonderful coverage!